FANIME FORUM HAS 40 USERS!!!! Thank you so much guys for using the Fanimation Forum! We have 40 users according to the site! I know I haven't been on much, but thank you so much! I might make a promo/commercial for this site to use in fanimes during commercial! This video is just a little thank you and whatnot. Hopefully you guys can see it if not, then I will try to fix it. Re: FANIME FORUM HAS 40 USERS!!!! 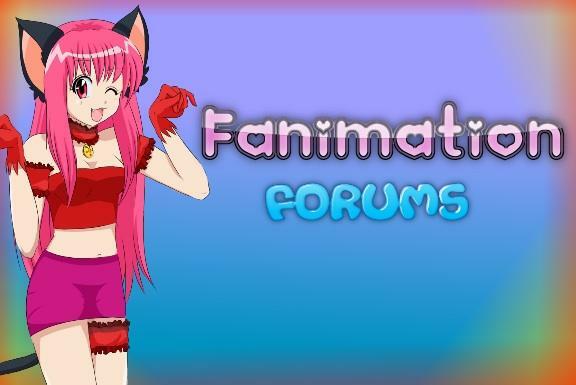 FuchsiaMuffin wrote: Thank you so much guys for using the Fanimation Forum! We have 40 users according to the site! I know I haven't been on much, but thank you so much! I might make a promo/commercial for this site to use in fanimes during commercial! This video is just a little thank you and whatnot. Hopefully you guys can see it if not, then I will try to fix it. It's great that this forum, along with the tumblrs fanimeconfessions and fanimealliance is help keeping interest in fanime alive! A good sign uwu.